I needed a concrete base doing for a log cabin, after saving hard I finely treated myself to this dream of mine. I hired someone who done a job that wasn't fit for anything let alone build a cabin on. I tried to get him back to correct his work but he refused and ended up blooking all my means of contacting him. Treading Standards and Citazen Advice Bureau were informed and suggested getting some qoutes to rectify the base. So this is when I used My Builder, I had several people call round and gave me quotes and it was starting to look like my dream of having a log cabin was going to end with me selling the cabin as it had already been delivered. But then TWGROUNDWORKS came out and had a look and they were amazing they couldn't beleive that someone could do such a awful job. They even tried to contact the person who did the job but like me had no joy. 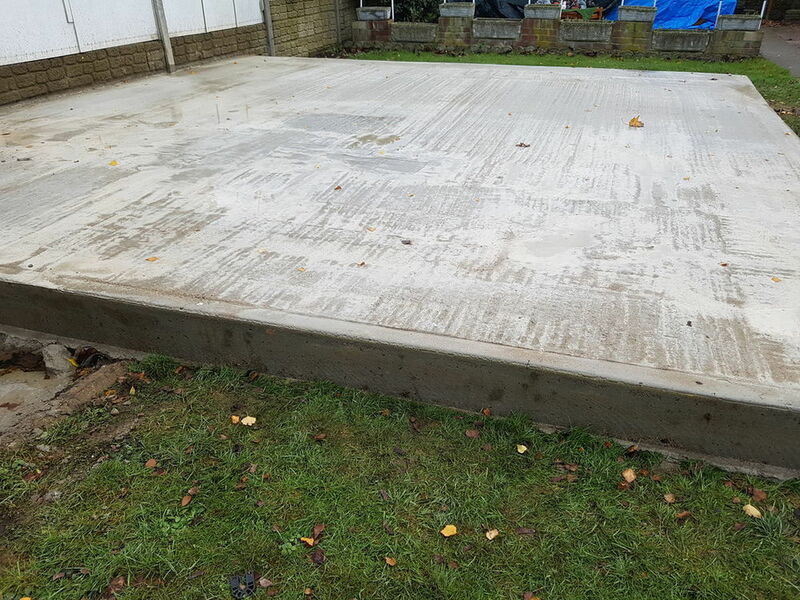 Anyway they did all the measurements and looked at several ways to rectify the base, they had already picked up on that I had used all my savings to have the first base done but this never put them off wanting to help me get the base done so my cabin could be built. I can never thanks Tom, Warren and Ben enough for the amazing work they did for me and how the bent over backwards to help my dream cabin to be finely built.